Time: Saturday, 9 November, 2013, 9–12.00 am. ; 2–5 pm. Place: Clarion Suites, 1239 S. Main St., St. George, Utah. Price: $50 per person; youth $30; couples $80. Some financial aid is available. 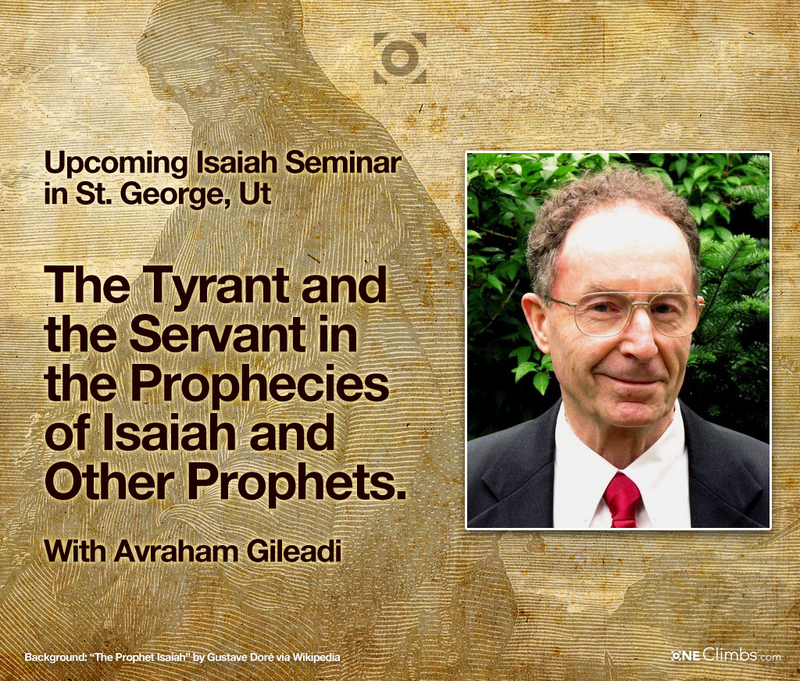 Please register at JosephandJudah.com or IsaiahBelievers.com or contact Charlene Stott, Isaiah Institute secretary, 801-785-0943. Bible prophecies predict that two major figures will appear suddenly on the world stage to usher in the time of Jehovah/Jesus’ coming to reign on the earth. Directly impacting the destinies of all nations and peoples are a tyrannical Antichrist who causes worldwide devastation and God’s servant who delivers an elect remnant of Israel’s tribes in a new exodus to Zion. As an exemplar of righteousness, the servant prepares a people to meet their God. As an exemplar of wickedness, the tyrant gains the whole world only to lose his own soul. A polarization of peoples worldwide, characterized by extremes of wickedness and righteousness, accompany a three-year period of warning followed by three years of destruction and deliverance in God’s Day of Judgment.